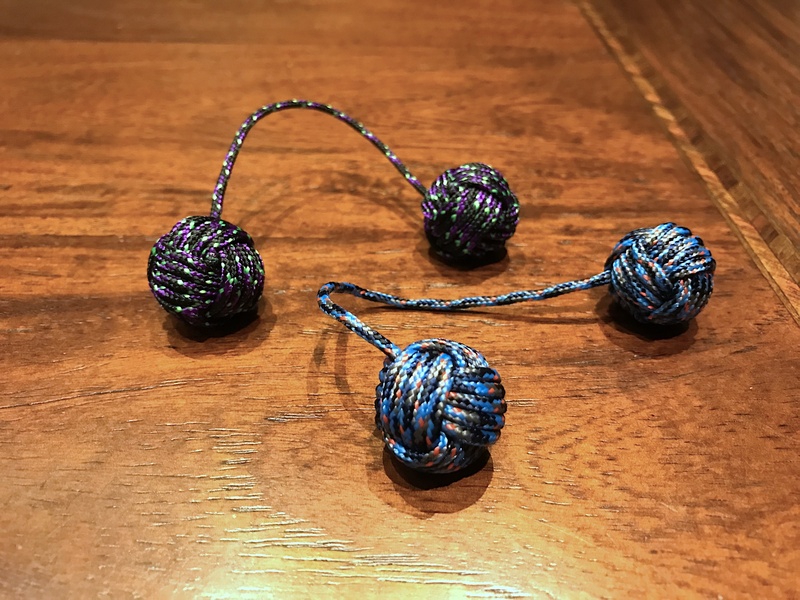 I made a couple of new begleri. I might give one away if the recipient has a similar width hand to mine. I used marbles as the center of the monkey fist. Good value from the kids section of the dollar store! The cord is 2mm micro in survival camo and undead from Cam’s Cords. I think maybe the 3mm would be better for begleri, but this is okay. I enjoyed tying them. It’s quite a relaxing activity while watching TV. A good alternative when I don’t feel like knitting!